Jakarta Public Housing and Settlement Dept. is about to control 350 illegal buildings in seven locations of the flat tower.
" We'll control illegal buildings around the flat gradually. 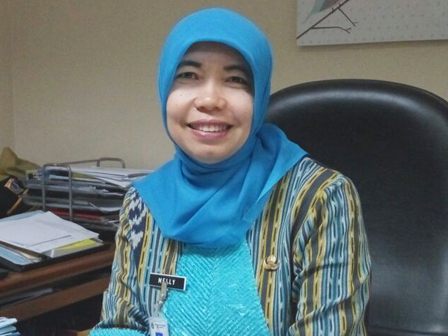 Our focus is around 389 buildings"
According to Melly Budi Astuti, Section Head of Guidance, Role and Community, from 350 buildings, 61 out of them in Bidaracina Flat area were been controlled a few days ago. She added, on Wednesday (9/20), controlling towards 47 illegal buildings around Bendungan Hilir (Benhil) Flat had to be cancelled, as most of the buildings were standing on the land of PT Kereta Api Indonesia (PT KAI). "We'll control illegal buildings around the flat gradually. Our focus is around 389 buildings," she stressed, Sunday (9/24). Aside that, she asserted, there are still around 38 illegal buildings around Tanah Tinggi Flat, 43 illegal buildings in Karet Tengsin Flat, 18 illegal buildings in Tebet Barat Flat and 85 buildings in Petamburan Flat. "We will do controlling in two locations per month," she closed.